Nicolas Maduro won the 2018 Venezuelan presidential election. He did so in the way Leftist dictators always win elections, through corruption and abuse of power. On Wednesday there were massive protests against the Maduro goverment where Maduro’s victory declared “illegitimate” and head of the National Assembly, Juan Guaidó declared himself interim president. Guaidó is being backed by the Unites States, Canada, Brazil, Argentina, Chile, Peru, Columbia, Paraguay, Ecuador, Guatemala, Costa Rica, Honduras, and Panama. 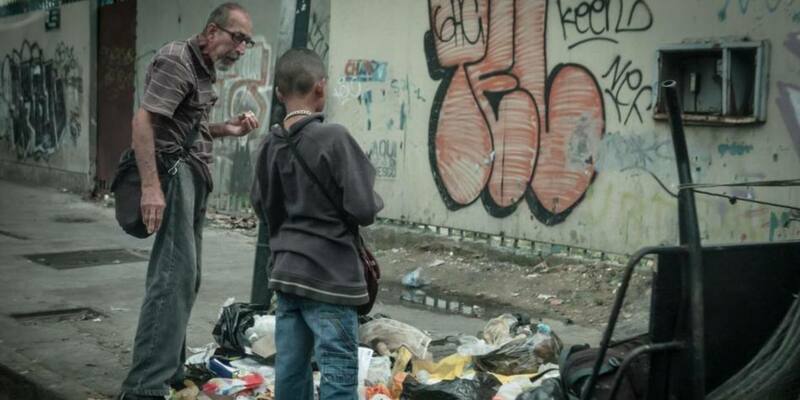 Let us take a moment to understand why the Venezuelan people are so unhappy with Maduro. The organisation claimed several human rights abuses had taken place the South American country, including the use of lethal force against the most vulnerable in its society. Its report argued that the Venezuelan government had failed to protect its people and has implemented deadly and repressive measures. It said 8,292 extrajudicial executions taking place between 2015 and 2017. It also found 4,667 (22 per cent) of homicides in 2016 were at the hands of security officials. Males made up 95 per cent of murder victims, and of those 60 per cent were between 12 and 29 years old. It’s not just the killing and oppression of civilians that is the problem. 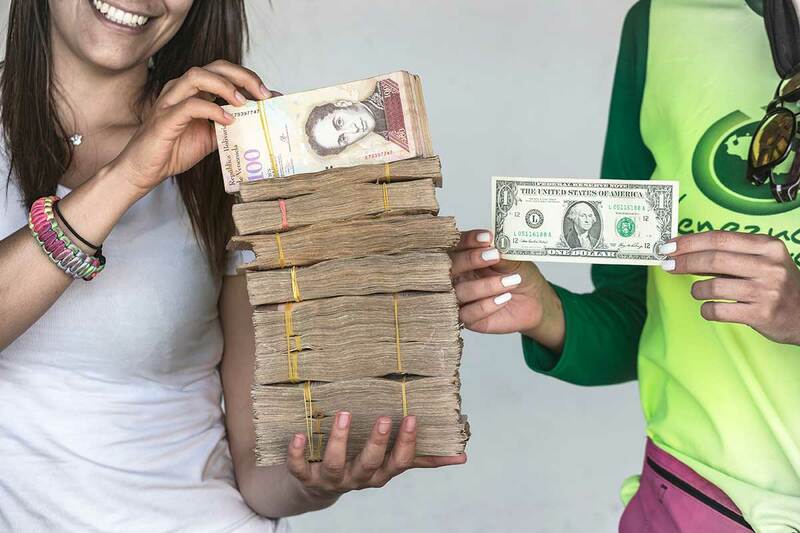 Maduro’s socialist policies have led to hyperinflation of over 80,000% per year. It’s hard to put that into words just how bad it is, so let some visuals make this make sense to you. Here is the conversion of Bolivars to one US dollar. The Venezuelan people are starving. They call this the “Maduro diet” and they have lost on average of 24 lbs per year. Children are dying of malnutrition. “A chicken in every pot” has been the socialist promise since FDR ran against Herbert Hoover. It’s hard to fulfill that promise when a chicken costs 14,600,000 Bolivars. That’s fourteen million, six hundred thousand Bolivars. Just say that out loud to let it sink in. Or you can just look at it. 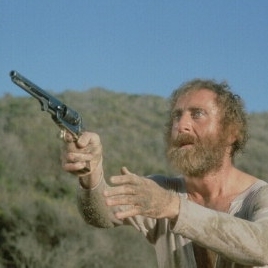 When you have to be a multi-billionaire to buy a chicken, the grocery store shelves are empty. 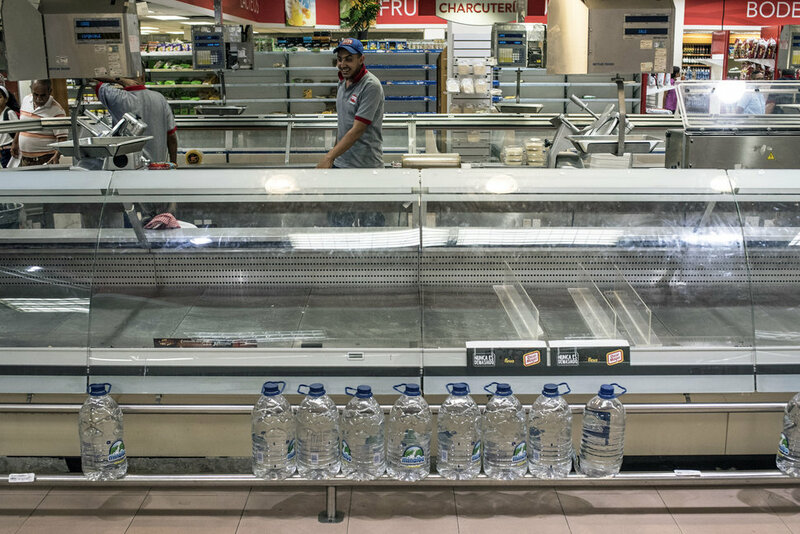 Venezuelans are having to make up for the lack of food on store shelves by eating zoo animals, and hunting stray dogs and rats in the streets. For Venezuelans who can’t hunt rats, they are reduced to eating from the garbage that covers every city street, or scavenging rotten food from a military landfill. The suffering of the Venezuelan people is not a secret. The majority of the country lives in grinding poverty, starving, malnourished, and just trying to avoid being beaten or shot by government thugs. The failing support for Maduro is a good thing. Except for the radical Left in the United States. 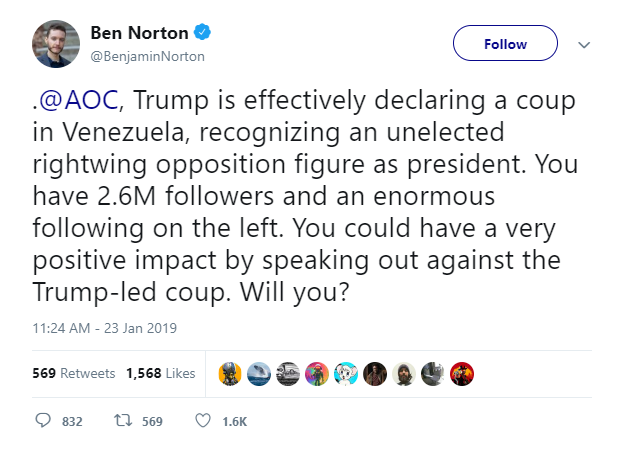 Ben Norton is a Leftist journalist in the United States. He is calling on Congresswoman Alexandria Ocasio-Cortez to fight Trump and back Maduro with the power of her army of millions of social media followers. 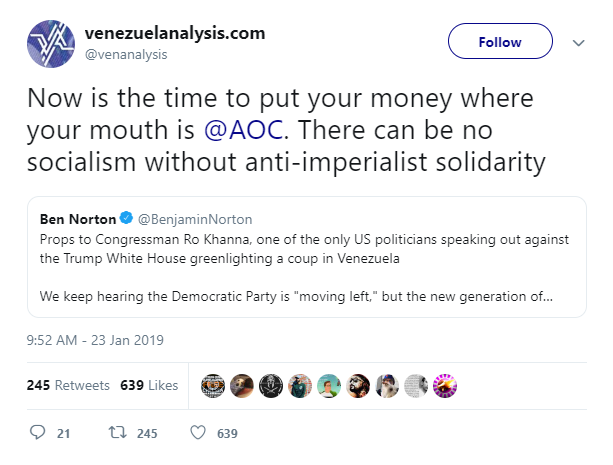 A socialist propaganda group called venezuelanalysis.com has done likewise. 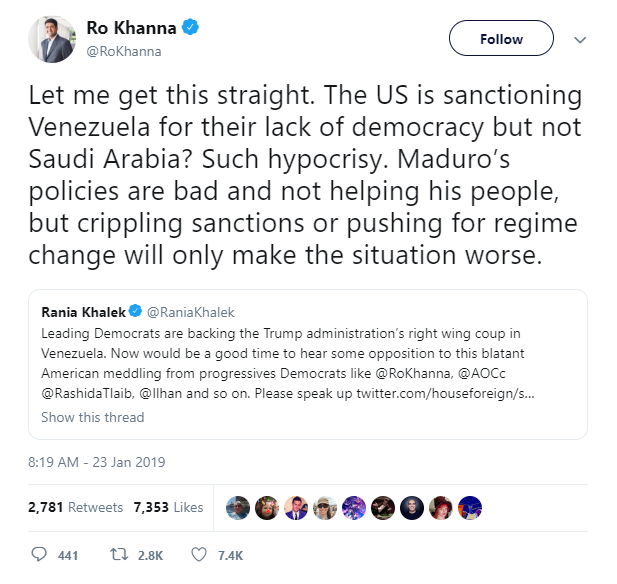 Congressman from California, Ro Khanna is backing Maduro and Venezuelan Socialism… to own Trump? I cannot give these people the benefit of the doubt that they are just ignorant of what is going on in Venezuela. They know. Of course they know. They want it to happen down there and they want it to happen here. They believe that they will be the ones eating imported food while they use their power to make anybody who has ever thought about voting for Trump starves. Palo Alto, Manhattan, and the Bronx will eat while Alabama, Kentucky, and everywhere else in flyover country starves. That’s the way it worked in the Soviet Union, China, North Korea, Cuba, and now Venezuela. The well connected and politically favored get the goods and the rest of the people get famine. This is the future the new wave to Democrats, led by Alex from the Block and Congressman-dot-com, want. I knew there was a reason the leftards were in the webernets had be a tad quiet about what’s potentially brewing in Venezuela. Get ready for *imperialism* to become the next buzz word for progtards to turn into a tired cliché, just like they did with “racism” and a bunch of other overused *ism’s. Unpossible. That bastion of human rights, China, unilaterally decided that the United States’ gun culture was responsible for the worst human rights violations in the history of everything. There’s no way Venezuela can top that; they don’t have guns! 1) in its history as in Venezuela’s History… and it is right. 2) That is an old photo. 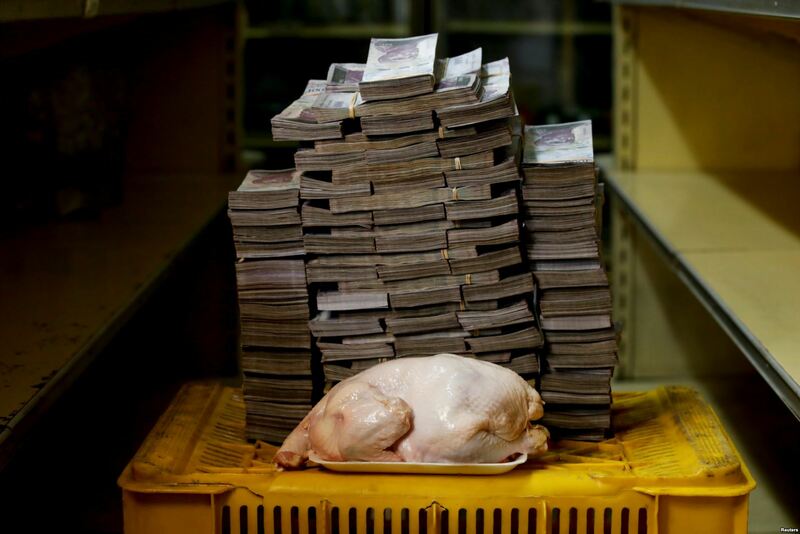 Venezuela has had at least three currency changes after inflation ate away its value. If you follow the link, you will see that 100,000 Blvs bills were issued at one time. I always loved the Zimbabwean 100 Trillion Dollar bank note. They are worth more to collectors than they are as currency. They have gone up in value because of Americans buying them as novelty items. You need to get an avatar…. Don’t make me get you one! Previous PostPrevious Revolts happening in Venezuela. Next PostNext At least one school in Florida breaks ranks from the others.